Most real estate investors fly by the seat of their pants based on gut feel…with little to no real data being used in their decisions. Scott Abbey and Shane Sauer join us today to talk about the importance of data in real estate investing, and how meaningful data is reshaping the real estate investing industry. Don’t miss this episode of the FlipNerd.com Flip Show! Meet Scott Abbey and Shane Sauer, Co-Founders of RentFax.com. Join the discussion on how accurate data can help real estate investors make better decisions, and how to get started using more data in your decisions. Learn from Scott and Shane as they discuss some common oversights that could have been avoided with the right information prior to purchase. Mike: Welcome to the FlipNerd.com podcast. This is your host, Mike Hambright. On this show, I introduce you to expert real estate investors, awesome entrepreneurs and super cool vendors that serve our industry. We publish new shows each week that have hundreds of previous shows and TIFF videos available to you. All of which you can access by visiting us at www.flipnerd.com or visiting us in the iTunes store. By the way, FlipNerd.com is the most robust social platform in existence for real estate investors where you can find off market wholesale deals in your market, find great local vendors to help you and your business in your market, and socialize, learn, and grow with others in our industry. There is truly nothing like it. If you’re not already a member, please visit us at www.flipnerd.com today, where you can set up a free account in about 30 seconds. Everybody is doing it, the cool kids and even the nerdy ones. So get on over to FlipNerd.com. Now, let’s get started with today’s show. Hey it’s Mike Hambright at FlipNerd.com. Welcome back for another exciting VIP interview where I interview successful real estate investing experts and entrepreneurs in our industry to help you learn and grow. Today I’m joined by Scott Abbey and Shane Sauer, the cofounders of rentfaxpro.com. Both Scott and Shane have spent their careers focused on finding solutions for complex problems, specifically in the real estate and real estate services space. As many of you know, one of the largest challenges and perhaps one of the largest opportunities in the real estate investing industry is the lack of reliable information and data because everything is just so fragmented. 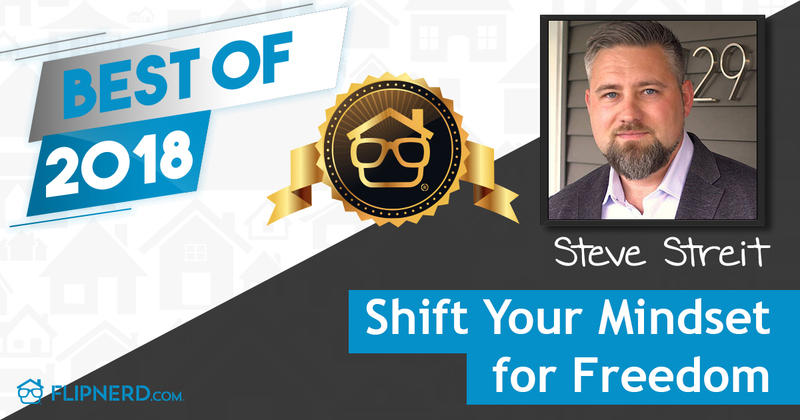 Today Scott and Shane are going to talk to us about the importance of reliable data to allow you to make better decisions in your real estate investing business. Before we get started with today’s show, let’s take a moment to recognize our feature sponsors. Mike: Hey guys, welcome to the show. Scott: Hi there, how are you doing? Mike: Good, good. We were just talking about this beforehand. I’ve had a few other shows where we’ve had a couple of guests on at the same time kind of tag teaming this interview. So glad that you’re both here. Shane: Great to be here. Mike: Yeah, good, good. It’s such an important issue. That’s really a big part of the opportunity for real estate investors that have some data that others don’t have ultimately. I know you guys are the forefront of that. Before we get started talking about the importance of data and some ways to find it, some important things that a lot of real estate investors don’t consider when they buy properties that are very real expenses, they can see and turn over costs and some of those things. Before we get started talking that, maybe you could take a few minutes to introduce yourselves and tell us about how you got to be where you are today. Scott: I’m Scott Abbey. I’ve been in real estate for over 20 years as a property manager broker. I managed as many as 1,500 properties in our company. I have an IT background, so data was something I was very familiar with. I really was fascinated by how I could track data to make better decisions and provide better outcomes for my clients. Shane: My name is Shane Sauer. I’ve been in industry a little over 15 years. Initially as an investor and most recently in the last decade as a lender. My academic background is in engineering, so between Scott’s IT background and my analytical drive the two of us came together on a mutual mission. Mike: Okay, great. It’s kind of the forefront here. This is an industry that is so fragmented, which is why probably a lot of the hedge funds and a lot of the more institutional players are getting into this space, because they see a way to make this a mainstream type investment. A lot of what drives their decisions is using data and facts that a lot of mom and pops and smaller real estate investors historically don’t have access to, right? Mike: Maybe you can share some of the history of just data in hour space, particularly for property owners also, landlords or rental property owners. Maybe how that’s evolved over time from what was available and where we are now, and maybe where that’s heading. Scott: I’d say one of the things that I’ve always wanted to quantify was location. People will talk about location. It’s a terribly important part of the decision making. But how do you quantify location? You have different responses to how good is the location. It’s really good, or really, really good. Which is it? Really going back to the 2000 census, I started studying census data. Looking at how different data in different neighborhoods impacted the outcomes of rental property. There is a way to quantify it. We went working on that for years now and being able to provide a quantifiable number to the value of a location relative to its market, a city or even across the country. Shane: What’s been really helpful is that as we’ve gone through time since 2000 the data available has really increased. A lot of people out there today, we’ve come so far now they find themselves swimming in data because it’s so readily available. A couple of great things have happened. Number one, it is more available, but number two, the geographic tightness of the data if you will. Now we have data drilling down almost to the neighborhood level whereas before, we had data at the city level, which really wasn’t useful for lenders or most investors or property managers. We’ve come a long way. As that data became more and more refined, we saw the opportunity that we could now translate this data into the real estate world. What does this data mean and how do we use it? Scott: And to make it simple for the user. So many times you look at these pages and reams of data and you scratch your head and say, “I don’t know yet what I’ve got here.” Our objective was to create something that would be easy for the guy that buys one house a year, being able to use and recognize it all the way up to the companies that are buying hundreds of houses. Mike: Right, as we talked about before we started recording here, I think it’s technology and data and a lot of those things that really are enabling people to invest outside of their backyard. I’ve had a number of turnkey providers on the show that their whole business is to find people. A popular one is that the money or the people are in California, and they’re investing in the Midwest or southern markets or things like that. It really takes data to help anybody feel confident or comfortable with what they’re getting into. I think historically one of the things that people value the most about real estate is if they needed to, they could go drive past their property or they could go visit it. But for folks that are across the country, they’re probably unlikely to do that. Scott: Understanding neighborhood dynamics when you’re not familiar with the area is an absolute critical component of making your investment decision. Shane: We see that in a couple of regards. We see a lot of actual international folks that are seeking out data. Not only are they not in California, but from Australia or wherever they might reside. Then we also see a lot of people that are willing to take on the adventure, if you will, to seek better investments outside their backyard. Shane: Yeah, through comfort and knowledge they become more open to investing in other markets across the country even though they may reside in a market where they very easily could pick up a rental property or they may find other markets that have higher margins or higher success. Mike: Talk a little bit about how people in your experience use data. Let me give you a couple of scenarios. One is you have an investor that has an opportunity in front of them that wants to analyze the data whether they’re in the market or out. You’ve got people that are trying to find out if that market or that state or that region, whatever it is, is a good place to invest. Then to complicate that whole thing, you’ve got the historical view versus the forward-looking view. Talk about how people should think about the data that’s there, whether historical or future context. How they could use data to analyze opportunities geographically. Scott: I would tell you one thing is look at your own success. If you have a property that you had good success with, that is based on two factors. One is the demographics and the environment of the location. It’s also how it’s being managed. If you can find that similar profile somewhere else by making an apples to apples comparison of that neighborhood attribute, then find management skills that mirror what you’re doing with your property, it’s a great way to expand outside your backyard. To really broaden the door of opportunity by picking up more space. Shane: The big challenge is it’s understanding how data applies to the decision you’re trying to make as an investor. Most people would agree that high-crime areas may not be that attractive for investment opportunities. But how to translate that exactly is where people get lost. As Scott stated, if you have successes or failures you can rest assured that the data and the demographic of those locations, you then can study that in other locations. Avoid another mistake or you can replicate your successes in your own market or other markets using that translation of this data translated to this investment success or failure. That’s really a backbone. It’s giving people a reference point to how to use the data. As far as forward looking or data, the nice thing about real estate is neighborhoods don’t generally change overnight. I know there’s some unique cases of that occurring, but for the most part we see some nice trending. As I’ve studied in my history, as long as your horizon is a couple of years out you’re generally pretty safe. Anything beyond a couple of years, I don’t have that crystal ball. I’d like to find it if I could but for the most part, neighborhoods evolve in a soft trend. We’ve taken that and embraced it when we look at the historical performance. We have a pretty good idea by borrowing it overnight this neighborhood will continue to behave this way for the next couple of years and then staying in touch with it. Scott: But in fact you can trend your neighborhood. Watch the neighborhood trending. A lot of times what will happen is a bunch of investors will come into a neighborhood. Actually the demographics will begin to fall. The vacancy rates will increase and the duration of time that tenants stay in the property is reduced. You can see that over time. If you’ve had an investment for three years and you’re seeing a downward trend, that’s a time to either adjust your management tactics or consider this might be a good time to sell. The other thing I would tell you is that outcomes could be managed better by using data to help direct the management effort. A lot of times a manager will produce a result that’s inconsistent with the data that’s there. Mike: You mentioned management strategy. Talk about other than obviously pricing, maybe talk about what are some of those strategies that you might consider based on when you see data that would indicate you need to change something. What are some typical things that you could change? Scott: I look at tenancy duration. We’ve been able to develop a historical tenancy duration and vacancy duration. This is incredibly valuable information. In an investment, tenancy duration is one of the key factors you mentioned earlier about turnover. To avoid turnover, you want long-tenancy duration. In an area that has frequent turnovers because of whatever reason there is in that demographic that’s causing that, you want to build things into your management strategies to hold your tenants. One is you want to make sure that your price is slightly below market so that they’re not inclined to move. Two, you may want to offer incentives for the tenant to stay. Offer improvements and enhancements that are a good thing for the property but save the cost of that turnover by keeping that tenant for one and two and three renewals over time. The other strategy is if you have high primary. You may want to protect the property differently than you would if you weren’t aware of that. That you have tools in place to represent protection of the property while it’s vacant, but more importantly, get it occupied faster. Even if it means lowering the rent, that is a better strategy than letting the property sit and be vandalized, and then the costs associated with the downtime for that. Mike: When most people evaluate properties or they think about properties, there is some typical high-level metrics they look at, or what they consider at least are vacancy rates, some sort of allotment for maintenance. But there are a lot of other factors that they go into that, a lot of other expenses you could get hit with. Maybe you could share some insights on aside from availability of data or not, just some of the high-level metrics that buyers of properties need to consider or should consider. Maybe there’s some in there that are often overlooked, I assume there are. Shane: I would say usually what we find is good investment strategies mismatched with location. It’s a sound-we’ll get better veteran investors. People that have proven success in where they tend to stub their toe is when they get a mismatch. That has to do with the people for the tenants or the homeowners that reside in the location. A lot of times when they say, “I just couldn’t, I bought this house for whatever reason. I couldn’t sell it. I think my marketing’s off.” We’ll look at the location and we’ll say, “No, you took a good proven strategy but you actually acquired a property with low home ownership rate, or you acquired property where it’s more family oriented and you have a two-bedroom unit that you picked up.” Extending beyond technical rental metrics a lot of times when we’re called in for just how people in a location behave, we’re seeing people that know what they’re doing investment wise, but they just mismatch the strategy to the location. Scott: Absolutely the most important, beyond tenancy duration, tenant quality is a really critical component and the affordability of the property. If you the demographic where your median income is “x” and you’re not getting sufficient ratio of income to rent, you’re almost doomed from the get go because it’s more challenging to attract a foreign demographic into the area where your house is located. Again, that strategy can be altered through lowering rents, but it’s wise to know that before you make the acquisition. Because if you’re anticipating a much higher yield, you’ll want to back that yield down to be more representative of what the median income is and how much rent could you really charge? Mike: Right, do you guys see that? Regionally or in different parts of the country, do you see that as being more of a problem than others? Obviously on the coasts where real estate is more expensive to buy that rent to a value relationship is very different than in the South or the Midwest. Are there certain areas of the country that you see that in more than others? Shane: Yes, I work in 15 different markets. We see it quite a bit. I always warn people away from just using what I call the bookends. If you’re evaluating an opportunity based on just top line revenues it’s really problematic even in your search, because it’s really the guts of a pro forma, I call it the midsection or the body. It’s where all the tenancy duration and vacancy and maintenance, and all that, that really dictates the profitability of your investment. There’s parts of the country that top-line revenue against the sales price looks very attractive, but the guts erode that. You spend these resources pursuing what appears to be great opportunities, but once you really dig into it, if you dig into it, you find that top line revenue is eroded and really misleading. Yes, it varies across all 15 markets. I guess I advise people not to necessarily judge the book by its cover. Dig a little bit deeper into those innards of a market before you really decide to jump into a market. Scott: Ultimately it’s the static number, but really rent is a function of realized rent over time and what happens to that rent over time. The expenses are a component of that but one of the big things is what happens to it in the case of an eviction. If you’re in an area that’s prone for evictions, and if you’re in an area that’s prone for short tenancy durations, you need to build that into your pro forma so that you have a more realistic look of what your real return is. Then you have to adjust your strategy so as to combat that and try to counter the trend of the demographics that are there, the forces at work there, so that you beat those trends. Mike: What are some common flaws or mistakes you see? Let’s just talk about real estate investors. I think a lot of new real estate investors, they really fall on one side. Either they’re so analytical that they never get to a point to where they can make a decision because they get overwhelmed with the data, or two, they don’t consider the data. They don’t make assumptions on things that are really going to impact the bottom line. Talk about those two scenarios for newer investors and how they can properly use data to make better decisions. Scott: As a manager and a consultant for many years, I have always taken the new investor and suggested that they take less risk, not more risk in making their first investment. I characterize it by staying in the center of the road. Don’t try to get to the edges, although the edges have appeal for margin return, whatnot. I would always suggest stay in the center of that risks quadrant. That starts with the risks of the neighborhood that are associated, because you can buy property cheaper in higher risk areas and the rent to rent to purchase price has a greater spread and it looks more attractive. But if you’re inexperienced and you don’t know how to manage the chaos and mayhem that can take place in those areas, you can become overwhelmed. The investment cycle usually takes two or three tenant terms, then the investor is turned off to investing. He tells 12 people what a horrible mess it was. It can impact marriages. It can create bankruptcy. That new investor taking a conservative approach by finding neighborhoods that have good demographic probability for a positive outcome. Then finding good, solid management tools make sure that the plan is executed at the management level. Shane: It’s interesting. Scott and I have probably spent as much time with new investors on coaching a good investment match. The great thing about our industry is there is so much opportunity. You really can invest in so many different vehicles in so many different locations in so many different ways. It is merely on the onset if you’re a beginner to find a nice match. A lot of times what we’ll end up doing is just talking to a new investor and they’ll come to realize that either they’re maybe very risk adverse and then we can advise them on locations or strategies. At the end of the day, I think we are ambassadors of a positive outcome and positive experience to whatever people are doing, and however they do that. We know from experience that it can be Scott’s opinion and Shane’s opinion of everything. We had to go to data to say, “This isn’t what Shane Sauer thinks. This is what the data says.” Make it a very objective presentation that was matched with that investor’s risk profile, that knew these risk profiles. That’s probably the way we found the most successes in working with people who knew the industry. Scott: An investor will come to me with an investment he’s found through a seller of some sort. We’ll pull the data up and it will show a tenancy duration of 11 months. Of course, they don’t think about that. That number by itself is a huge number, and forcing that buyer to consider that is an important part of this because if you’re turning that property every 12 months or every 11 months, it’s horrible. One of the stats that we’ve actually been able to get is what’s the likelihood of ending, completing a 12-month lease? We found neighborhoods that have a 50% chance of historically completing a 12-month lease, which means there’s been a lot of disasters in that neighborhood that you’re liable to buy into unknowingly because you don’t understand that statistic when you purchase that property for that demographic. Mike: Take a second to talk about the role of property management in driving those statistics, the data that you see there, how that’s impacted by good or bad property management. What he doesn’t know is that the guy has trashed the house on the inside because he’s a lousy tenant. But by us showing what the area is bringing, what the numbers are around him, real time numbers, we can have a better conversation about that rents are and talk about the reasons why we want to adjust the rent up or down according to a strategy that holds the tenant for a longer period of time. Two, most importantly, allows greater selectivity of the tenant. If you’re at market or above market and you’re going to take an average tenant, if you take an average tenant you’re going to have an average result for that demographic. If that demographic is poor, that’s going to be a poor outcome. When you have a demographic that you can’t change, because we can’t change the demographic once we own the home, then we have to manage around it by making adjustments and tweaks in the way and the approach that we go after the tenant. How selective are we of the tenant? How we price the product. How we provide service to the tenant. If you have short tenancy durations in the neighborhood you want to be a service maniac to keep that tenant for wanting to turn his head out. Mike: After years of grieving over how you needed more data to make better decisions, you guys have built a better mousetrap in RentFax PRO. Take a few minutes to tell us about your product and how you’re helping property buyers whether they are the fix and flip type to resell or especially for property owners that intend to keep those properties as rentals. Shane: I think a good way to describe what we have accomplished with RentFax is that the data available is overwhelming. Veteran investors to newbies alike, it was hard to ingest all the data and apply good reasoning and to do something from the data. What Scott and I did is we printed that bridge. We printed the bridge between data and decisioning. We took our collective experiences and experiences of thousands of investors of thousands of properties across the country, and we connected the dots. By connecting the dots we provide this sea of data but then we simplified it down into a single score that better helps people ingest it quickly and simply. The problem is that data is everywhere now. Everywhere you turn you can find it. How reliable it is, how good it is. Those are other questions. What we found people struggling with is what does this data mean? How do I make a decision from this? Scott: You find it at key data points. There are so many data points you get overwhelmed with them. There are key data points that you trigger in on that impact decision making as to buy the property, and also how to manage it. Shane: RentFax just boiled all that down in trying to simplify it that you don’t need a PhD or a panel of analysts to make an investment decision. You should be using data and knowing what that data means to your decision was really the bridge we tried to cross for our clients. Mike: If folks wanted to learn more about your product, tell us where they should go. Shane: They can go to the website, www.rentfaxpro.com, and in addition to sample reports and information, there are a host of tutorials and videos of how to traverse this world of data and use it in a decision that people are probably making today. Scott: The tutorials are really helpful because what we try to do with the tutorials is to take our experiences and put it into short snippets of information that you can use to better improve your skills at what you’re doing, and use our data as a means of helping you make better decisions. Mike: That’s fantastic. Guys, we’re going to add the website down below the video here for anybody that’s interested in checking it out. Thanks so much for your time today, I appreciate you joining us. Shane: Thank you so much. Scott: I really enjoyed it. Mike: Best of luck and please stay in touch. Mike: Thanks for joining us for today’s FlipNerd.com podcast. To watch or listen to more great shows, please visit www.flipnerd.com or visit us in the iTunes store. To access the most robust social platform in existence for real estate investors where you can find off market wholesale deals, great vendors literally in your market and to socialize with other like-minded individuals, please visit the one, the only, www.flipnerd.com. If you’re not yet a member you could set up a free account in about 30 seconds. It’s pretty much the coolest site that’s ever existed in the real estate investing industry. So get on over to www.flipnerd.com.